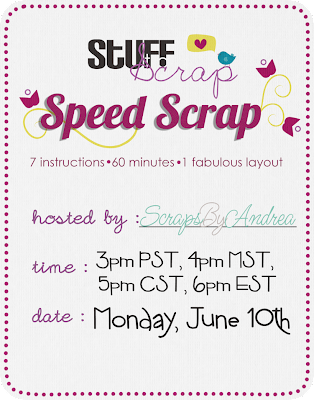 Scraps by Andrea is hosting a Speed Scrap on Monday, June 10th. The participation prize is a kit called For The Boys. Hope that you can make it!